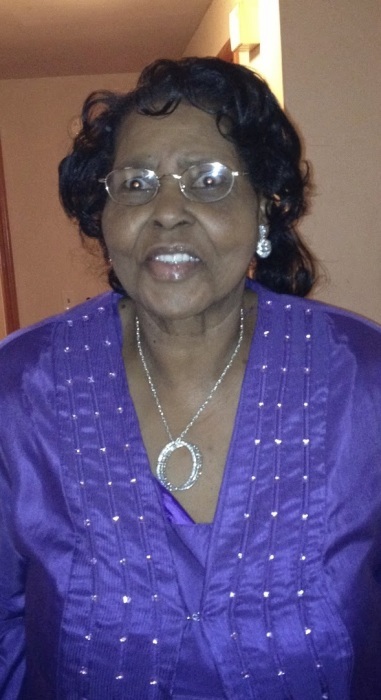 Daphna V. (Eady) Hodge, 79, of Mallowhill Rd., departed this life on Monday, March 11, 2019, at Wingate at Springfield. Born in Robertsville, SC, she was a daughter of Samuel Eady and Rosa Lee (Pinckney) Eady and the beloved wife of David R. Hodge. She dedicated her life to caring for others as a home health aide. Pre-deceased by her parents, her husband, and a son, Quran Hodge, a two-day old daughter, and two sisters, Vivian Bolden and Renee Bowden, Daphna leaves to cherish her memory, two sons, David A. Hodge and Khaatim J. Hodge, both of Springfield; four brothers, Samuel Eady Jr., Jesse Eady, and Ezekiel Eady, all of Springfield, and Royster Eady of North Carolina; a sister, Irene Foy of Springfield; 10 grandchildren; and 9 great-grandchildren. The calling hour is 11 a.m. to noon Thursday at God's Way Ministries, 156 Springfield Street, Chicopee, followed by the funeral at noon with burial at the Massachusetts Veterans Memorial Cemetery in Agawam.